Opening last night from director Scott Derrickson, Marvel and Walt Disney Studios came the highly anticipated look at the mind-bending world of Doctor Strange. Dr. Stephen Strange (Benedict Cumberbatch) is a world renowned egotistical, yet brilliant neurosurgeon who has everything. Outrageous car, fine jewelry, cool watches and a beautiful home overlooking New York City are just a few of the perks in his line of work. Proving that he is brilliant seems to bring satisfaction to his inflated ego and this is known by ER physician Christine Palmer (Rachel McAdams). Putting up with him is something she is willing to do, understanding that caring sometimes means dealing with silliness. One night after performing another feat of medical brilliance, Dr. Strange is on his way to a speaking engagement that is about to change his life. A serious accident causes devastating damage to his hands and sends him in an emotional tailspin. Trying to find a way to fix the nerves, he reaches out everywhere. During therapy he is told that there is a man who shouldn’t have recovered but did, and this intrigues Strange. He discovers where this man is and questions him about how his recovery was possible. Being told of a place in Kathmandu, Nepal – Strange spends every dime of his money to get there only to discover it’s not like Googling the nearest Holiday Inn! He meets Mordo (Chiwetel Ejiofor) or rather Mordo meets Strange in an alley when he is being mugged. Mordo takes him to meet the Ancient One (Tilda Swinton) but warns him to forget everything he thinks he knows. Strange uses his sarcasm and wit but discovers the Ancient One who is slightly amused by his deflecting of personal pain and shows him a world he never knew existed. Hungry for more he is rejected, but his determination starts him on a voyage with training by the Ancient One and Mordo but Strange wants to learn faster. He takes it upon himself to study and read from their library run by Wong (Benedict Wong) who is keeping a close eye on Strange. While this is happening, a man named Kaecilius (Mads Mikkelsen) has taken pages from one of the Ancient Ones books that has the ability to release a dark power. The Ancient One certainly has her hands full with the dealings of Kaecilius, training Strange and hiding a secret that could change everything. Strange becomes stronger and wiser (although no less twisted in his humor) knowing that with the help of the Mordo, Wong, the Eye of Agamotto and the Cloak of Levitation that chose Strange! It is time to stop the destruction of the world! Cumberbatch as Strange manages to totally surprise me in every way. Having gotten use to the attempt at villainy or the demure roles he has taken, Cumberbatch gave me laughs, chuckles, and accidental snorts. He totally nailed the American accent without a slip up which is a weird pet peeve of mine. Ejiofor as Mordo is the calmer character who understands Strange better than Strange does. Being with the Ancient One for a while also gives him deeper insight to help Strange deal with the ins and outs of what he has gotten himself into. Ejiofor’s character is calm until its time not to be. McAdams as Palmer comes in and out through the film going from caring doctor and friend to Strange to awestruck by the return of someone different. She has the right demeanor to be surprised yet together in the midst of astral body wars! Wong as Wong is fantastic but then again I already knew he would be. Swinton as the Ancient One went through a lot of side commenting from fans of the comic about taking this role, yet seeing her on the screen I loved it. OK, so I’m a Swinton fan from way back and anything she does resonates with me but here she is down to the bare bones of a character with a secret. Well done. Mikkelsen as is the biggest thrill for me. I have been following his career since first seeing him in 2000 Danish television series UNIT 1 playing Allan Fischer. The spark in his eyes when he was angry had me riveted because it was always followed with action instead of talk. He blew me away in the 2009 film Valhalla Rising and the 2014 The Salvation. 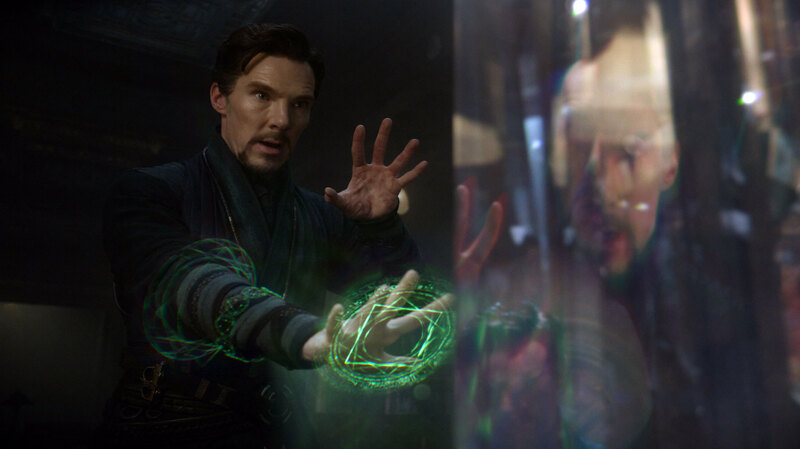 In Doctor Strange he has pulled out all the stops to be as evil as he wants to be, and my only wish is that he got more screen time! I would give Doctor Strange four stars out of five. I wasn’t sure what to expect but I am pleasantly surprised. My problem with other super hero films is that there are too many of them in one film for me to enjoy it. That isn’t the case here. Instead I get one funny and quick-witted man who comes to terms with his frailties. That is what initially drew me to Deadpool, a combination of humor, sarcasm and frailties so I initially thought “Well, it’s going to be near impossible to beat it.” Although it is still my favorite of the year, Doctor Strange certainly falls right in line close to it. I suppose I have to have sarcasm and wit mixed in with amazing special effects if you’re going to keep me planted in my seat. 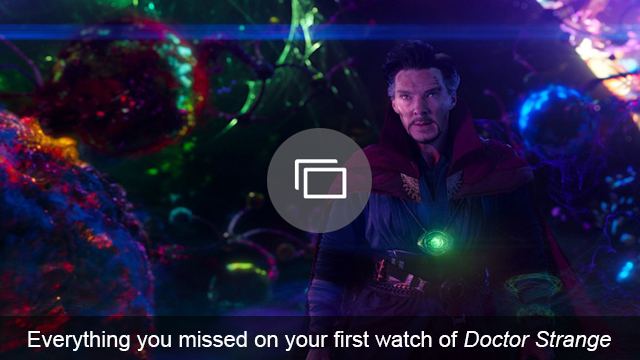 Doctor Strange does just that. It is entertaining, fascinating, funny, and just enough in the realm of fantasy to make it so dang enjoyable! The cast that is put together bounce off each other in such a way that I cared what happened to them – yes I even cared what happened to Strange! Even though there are moments where I thought of other films in the sense of flying capes, twisted cities and a magic eye, it didn’t bother me enough to turn away. In fact it awoke a kid-like curiosity! The special effects are fantastic but then again if you are going to tell the story of Doctor Strange you better make sure they are above and beyond. From the early 1960s till the present day it was only a matter of time before this particular superhero jumped from comics to screen. In the end – open your mind and change reality!